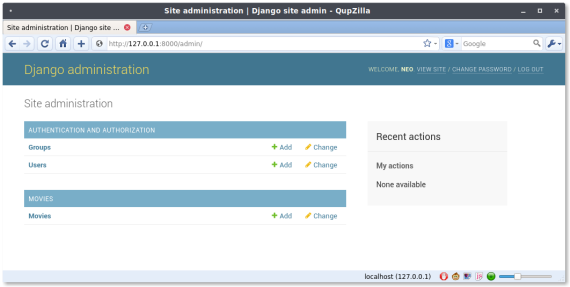 Django comes with an automatic admin interface. We just created a (database) model in the previous article. 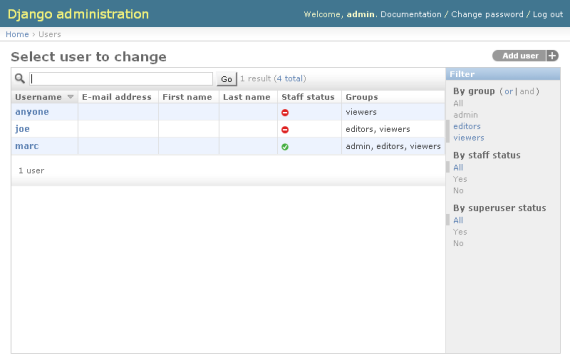 Now we can create a backend management tool for it. This is one of the most powerful features of Django. 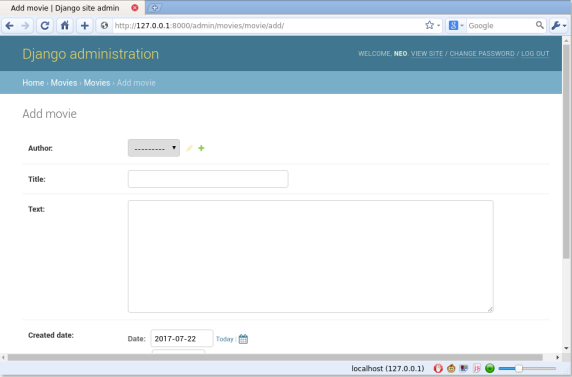 A login screen will popup. Let’s enter the matrix! Now open the webpage again and login. If you see the screen below, good job! The model ‘Movie’ is there! We can add new movies here. If you click on the button, all the fields are there to add a new movie, exactly as we specified it in the model. All the CRUD operations work. We can now interact with the complete database system from this graphical interface.